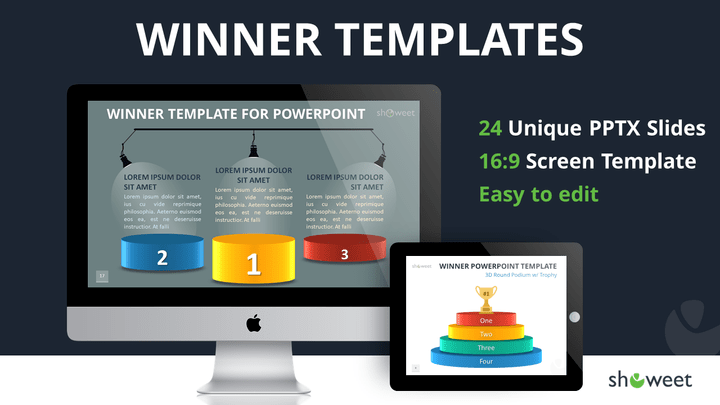 Free premium-quality collection of winner templates for your PowerPoint presentations. 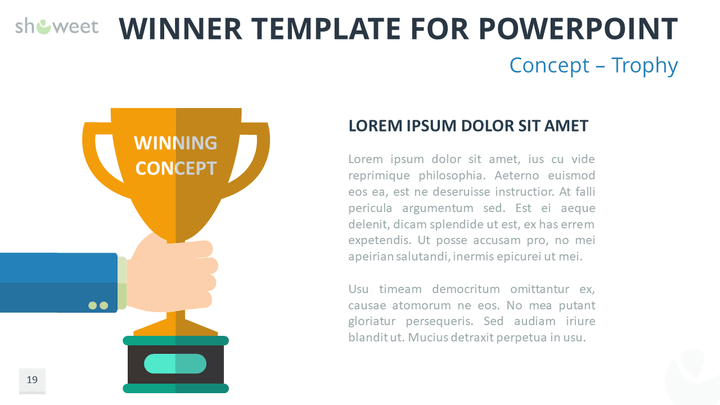 Overall winning – or the most important- idea, concept, product, etc. 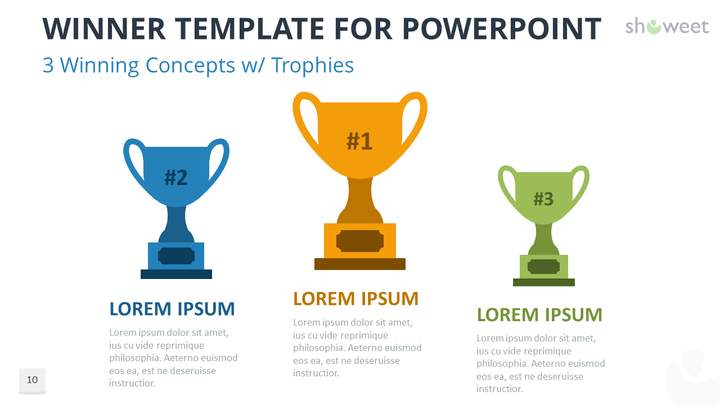 These templates are perfect for slides about success, victory, leadership, performance, achievements, sport, rankings, awards, comparisons. 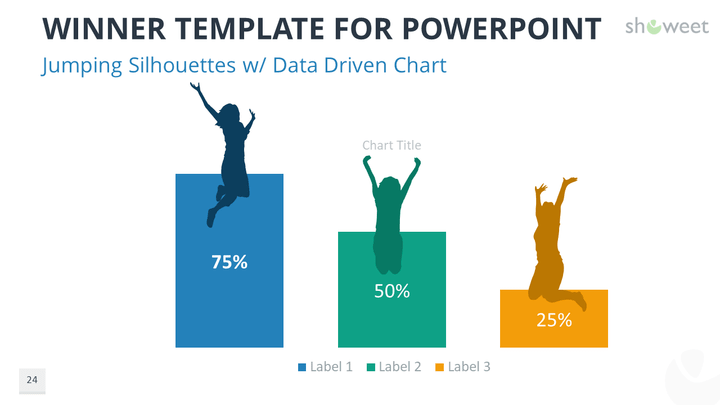 They will be great either for quantitative or qualitative information. 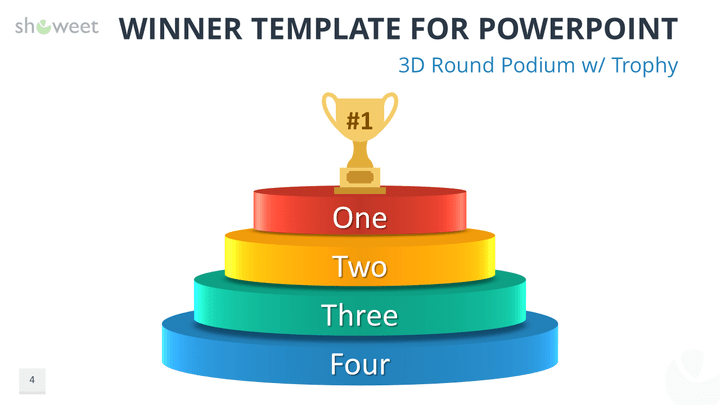 The free PPTX document contains a selection of 24 custom-made and editable winner diagrams. 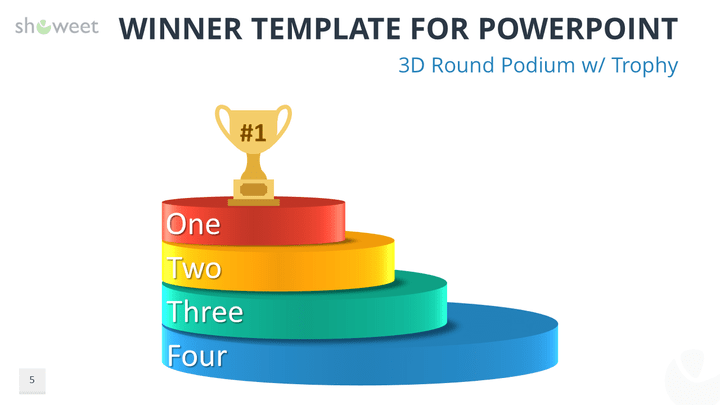 Pick your winner diagram among a complete range of graphic options and symbols: podiums, stairs, trophies, medals, silhouettes (sports finish, jumping, running, victory). 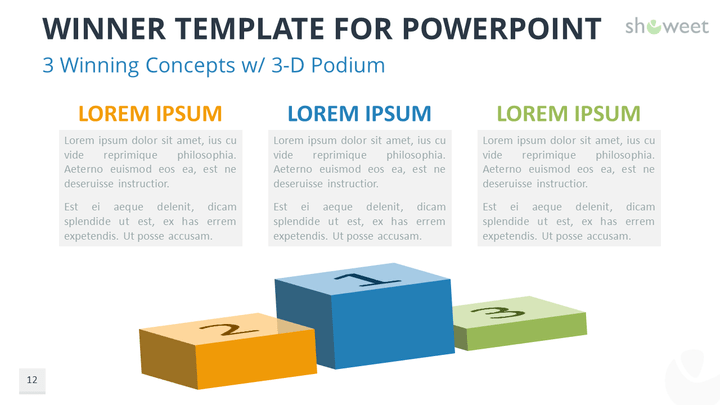 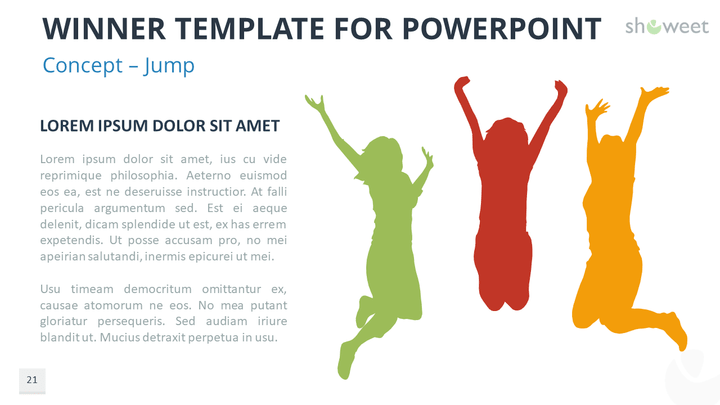 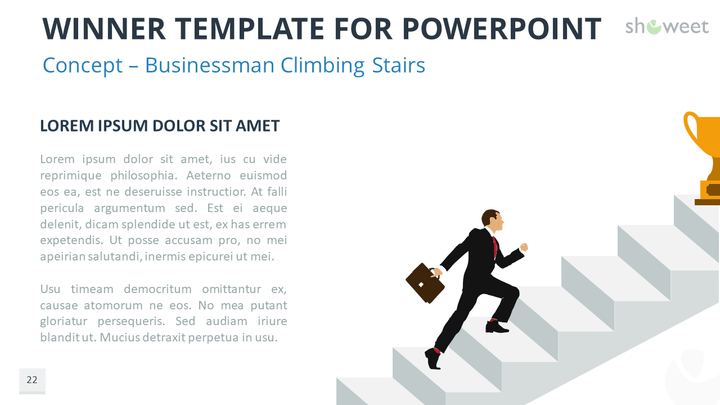 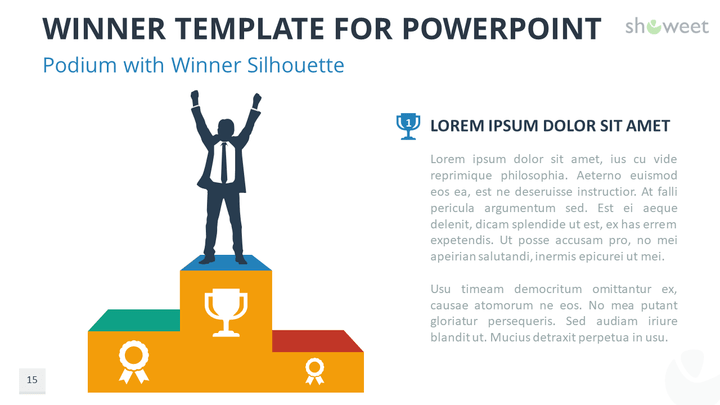 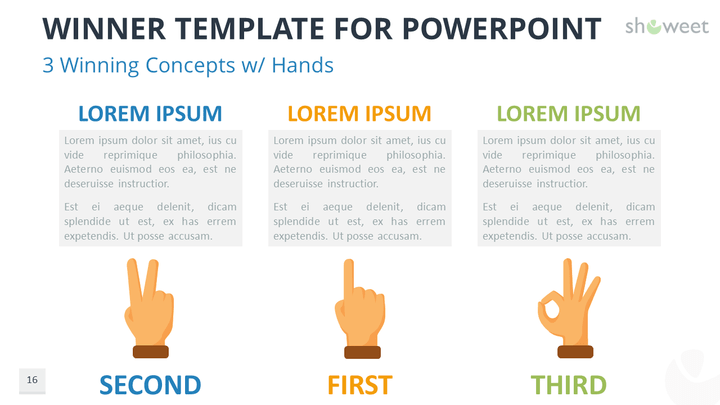 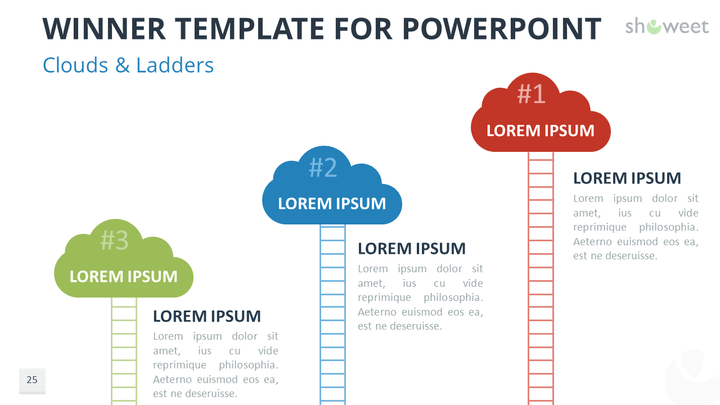 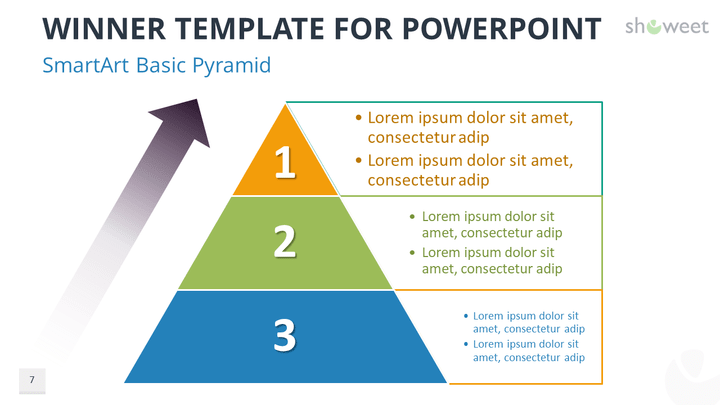 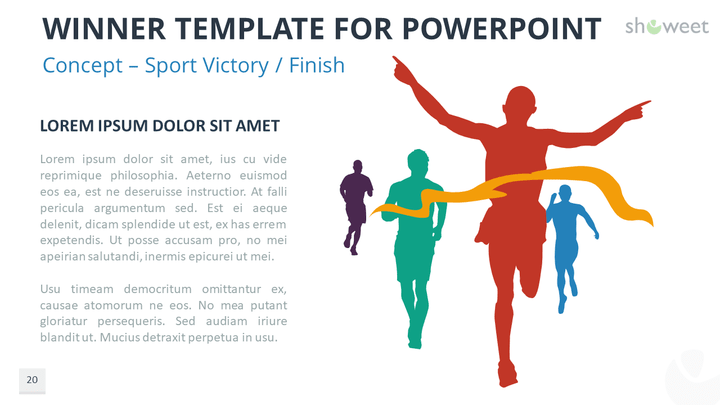 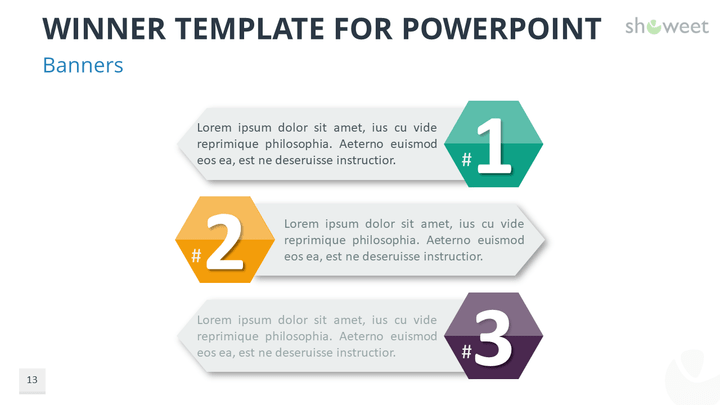 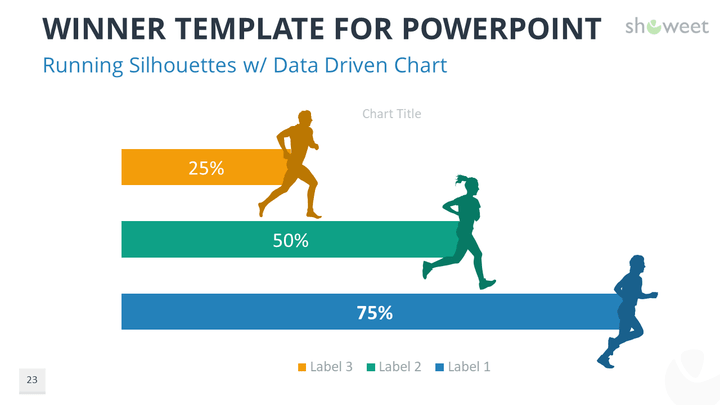 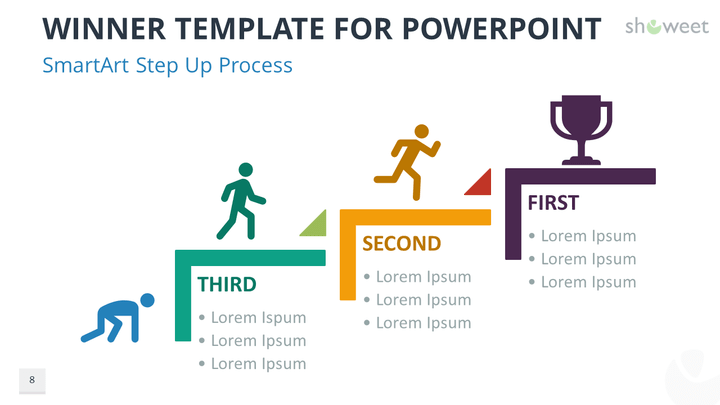 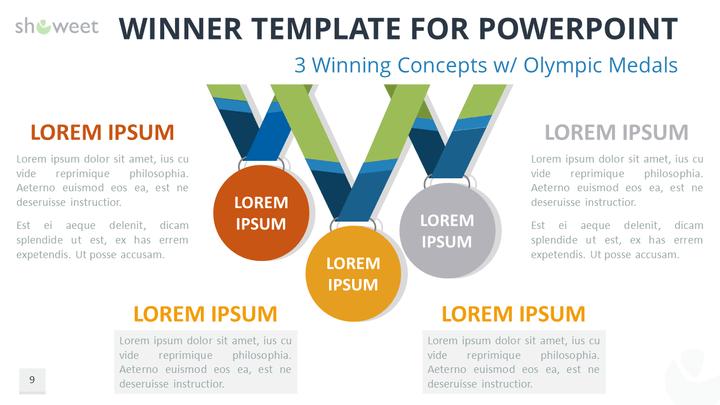 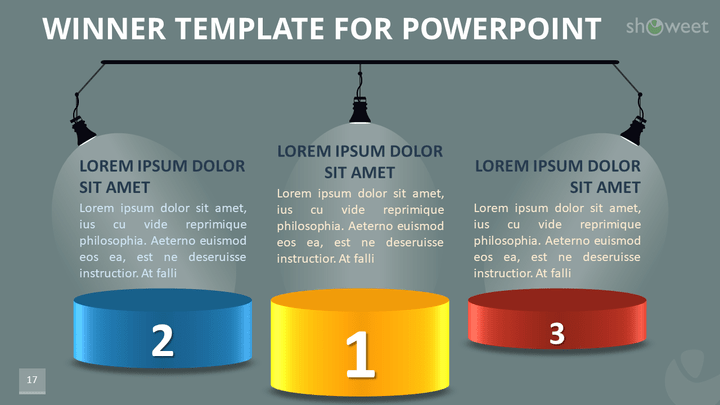 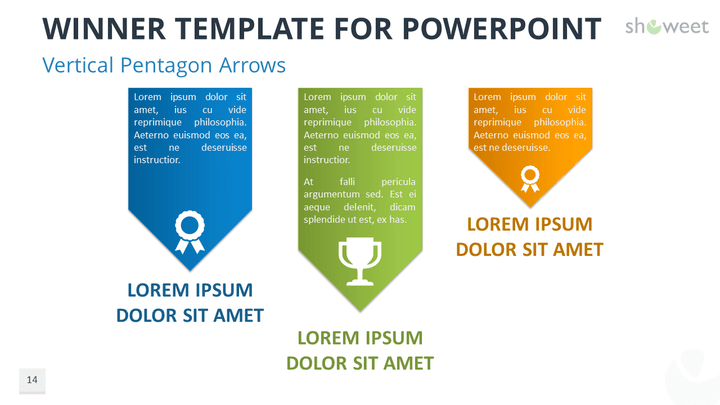 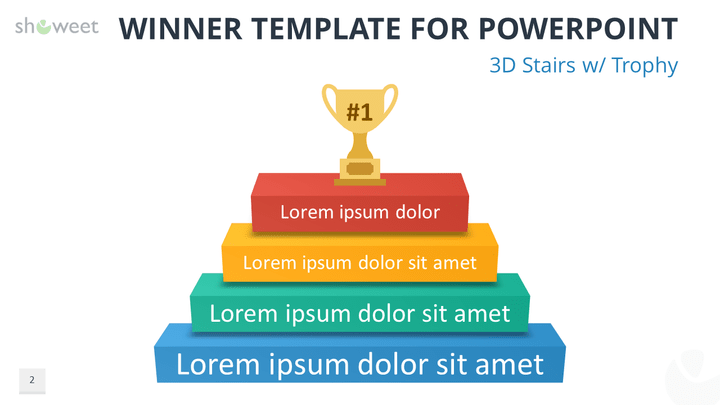 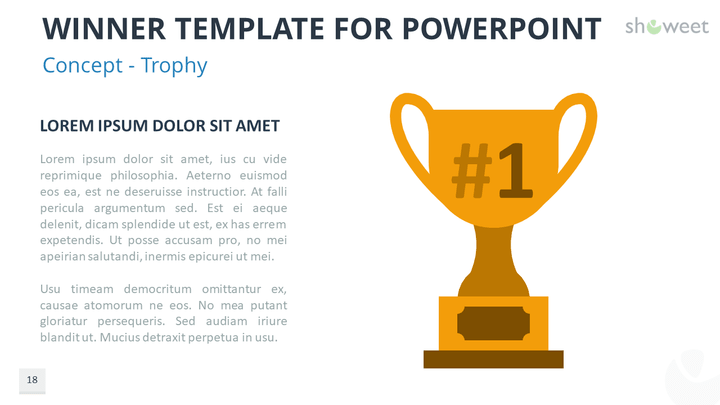 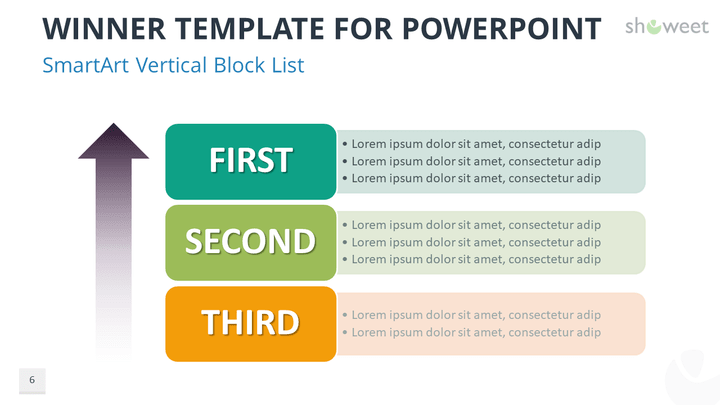 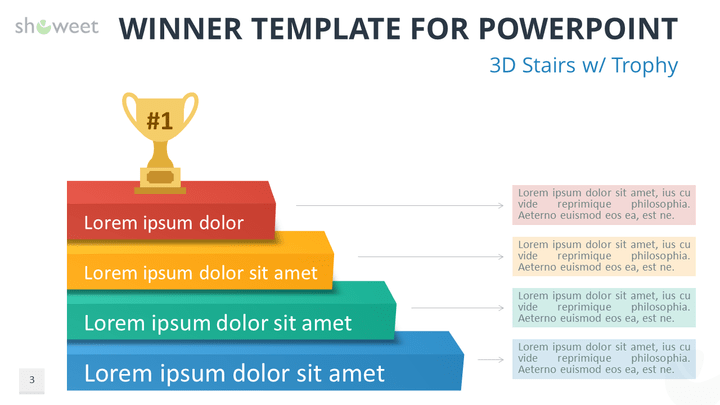 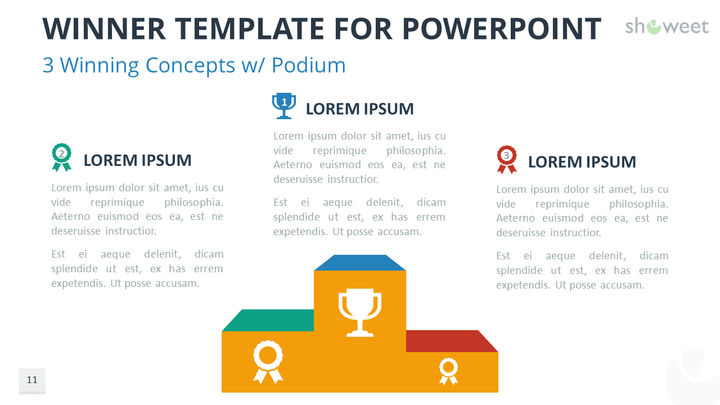 Download these ‘Winner Templates for PowerPoint’ for free!